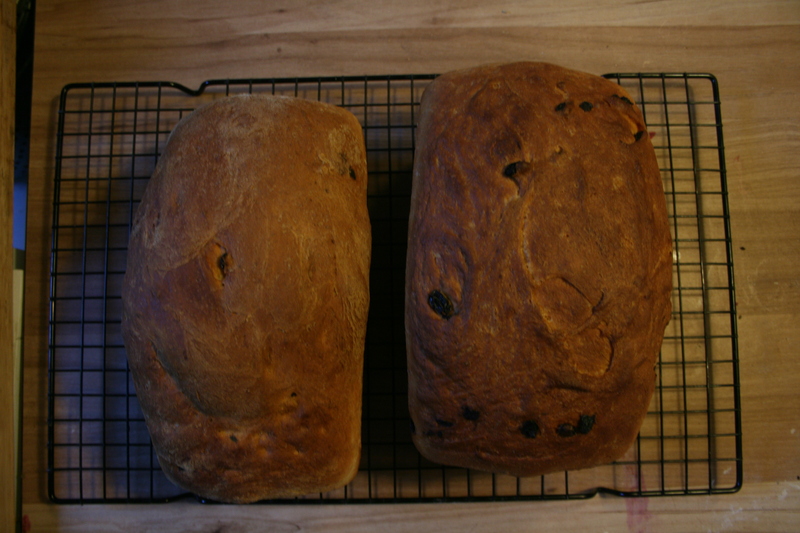 I realize I have not posted a single bread recipe in quite some time. I promise I am still delighting myself in the controversial floury stuff. I won’t ever stop. I just couldn’t. The weather around here is cold. I mean cold in a way that scares me a little bit. I know that this is nothing, and that soon it will be physically painful will to bring my trash out or call my dog in. I know that mismatched runninng socks will not cut it for my boys one of these days very soon. Wool and layers. Wool and layers. I keep telling myself I must stock up! But, then a warm day surprises me and I forget all about the impending freeze. Not only is the weather making my knees knock, but daylight savings shook me up a bit yesterday too. 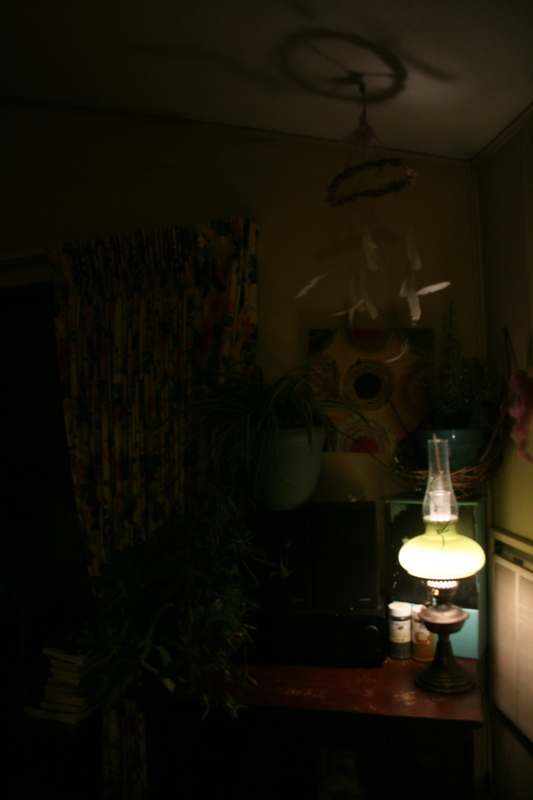 This picture was taken at 4:45… sun is down. This is disturbing and cold and well… I know I must stay positive and possibly buy one of those lights that recreates the sunlight so I don’t go insane this winter. But, there are fires and knitting and bundling and one other thing that is taking a turn for the better; The time spent behind my stove. Yes, the time of year where a hearty soup and light bread or a heavy bread and a silky soup will not only suffice for supper, but it will warm your bones. So yesterday, after one last trip to the orchard, Lee decided to attempt to brave the weather for an afternoon bike ride with the boys. This left me in the house for a whole hour alone where I folded both clothes and dough furiously, and my efforts were not in vain. 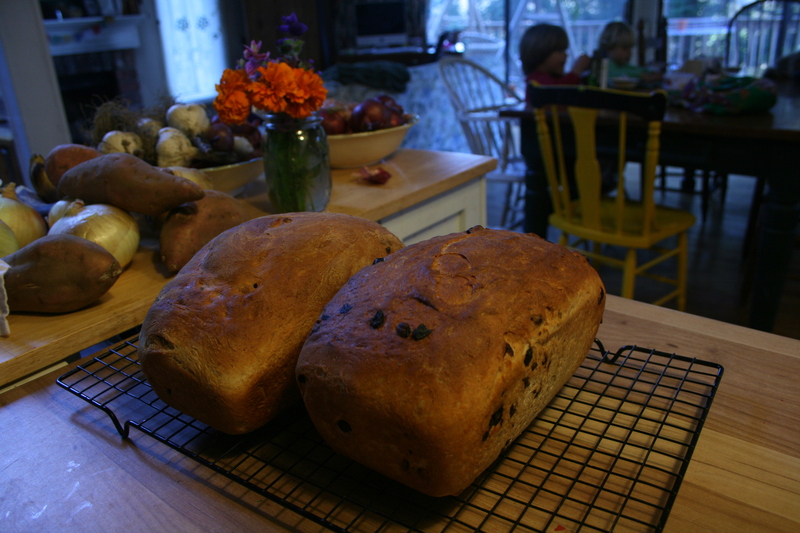 Nothing like starting a Monday off right with a clean house and a few loaves of sweet bread on your counter. Proof 3.5 teaspoons of yeast, 2 tablespoons of clover honey, 1/4 cup of warm water and 1/4 cup of apple cider in a large bowl until frothy. On the stove top slowly melt 1/4 cup of butter in a saucepan with 1 1/2 cups of whole milk. Cool the milk down and stir into the yeast mixture with a wooden spoon. Fold in one cup at a time 2 cups of wheat flour and 3 cups of white flour stopping and kneading when the stirring gets to tough. Knead until it’s satiny soft and roll into a buttered bowl until its doubled in size (about an hour if it’s next to your warm oven). While its rising place 1/2 cup of currants in a cup covered in cider to plump them up. Punch down and fold in the currants. Slice into two balls, form them into loaves and place them in 2 loaf pans to rise again. Cover them with a towel. WHen they are about an inch over the top of the side, place them into a preheated 400F oven until golden brown. Cool, slice, and slather in butter. 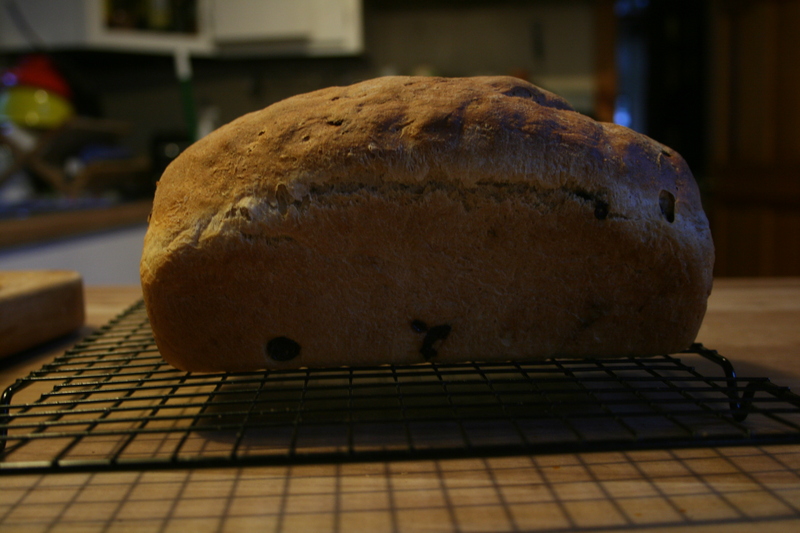 This entry was posted in food and tagged apple spiced currant bread, bread, cold weather. Bookmark the permalink.